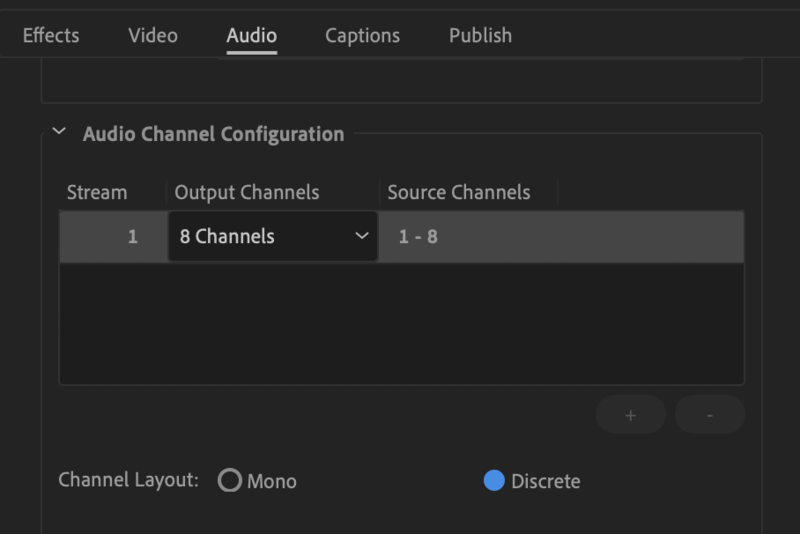 To have mutiple audio channels availbale to you in a video file in QLab, the sound setup in Premiere needs to be like in this guide. QLab can access all audio channels within the first audio track of your video. This can be confusing, since the words “channel” and “track” are often used interchangeably. In the world of video files, one video can contain multiple tracks, and each track can contain up to sixteen channels. When a video is prepared for DVD production, the first track might represent the 5.1 surround mix, and thus contain six channels. The second track could be an alternate stereo mixdown, and thus contain two channels. 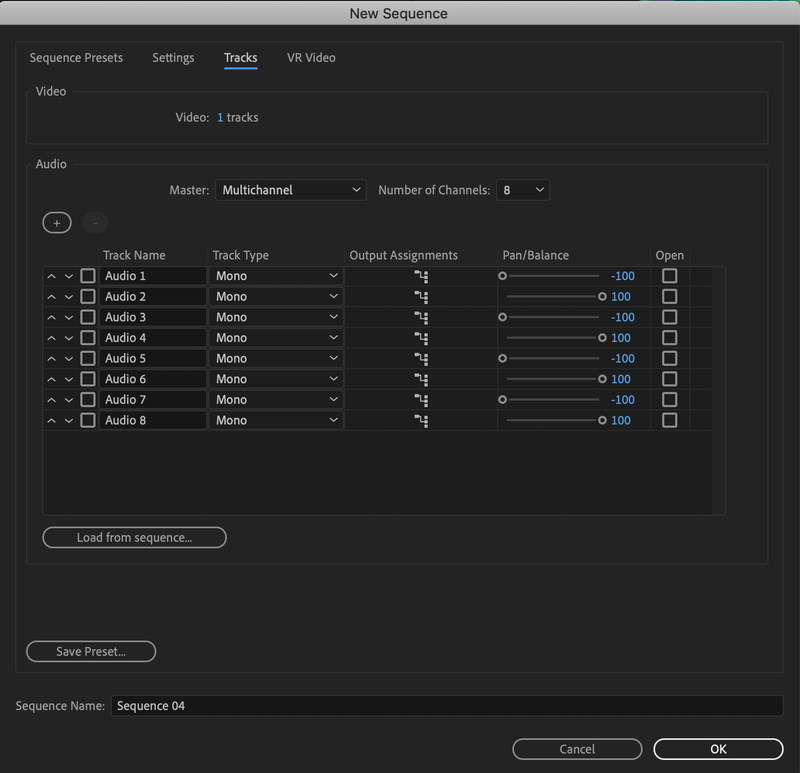 Since QLab can only access the first track of a video’s audio content, it’s important to keep these differences in mind when preparing your video files.  This means that you will need to work with a single audio track with multiple channels. This guide shows you how to do just that in Premiere. Here is an example with the above settings. Also, and this is important, make sure to change the Channel Layout to Discrete. Feel free to follow this video tutorial, that this short guide is based on.